Supporting strawberry farmers! We have a free step-by-step Strawberry Panna Cotta with Strawberry Coulis Recipe available online. After School Cooking Class (weekly, during school term) (for primary school students). Teenages Cooking Class (weekly, during school term) (for teenagers). We are migrating our website to mobile friendly layout. In the meantime, you might experience two layout styles, we apologise for the confusion. Rest assured that information is still accurate on older style. We are now on Facebook! Follow us on Facebook for School updates and more. We will be uploading photos for Facebook progressively. For more details about our 2-hour or 2.5-hour short cooking course, please refer to this page. Want to organise Cooking Workshops/Team Buildings with us? We offer fun and knowledgable cooking activities (from 2-hour to 6-hour) for your group, either on our premises or at your venue. Contact us for more details. You might have tried Kangaroo and Crocodile meat before, but we don’t think you’ve tasted them in our uniquely delicious style. 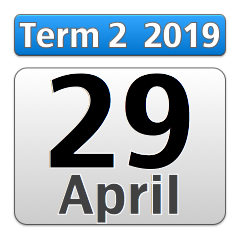 We also have Native Australian Cooking Demonstration and Lunch on Fridays during school terms. Strawberry Panna Cotta with Strawberry Coulis Recipe available online. Support strawberry farmers. 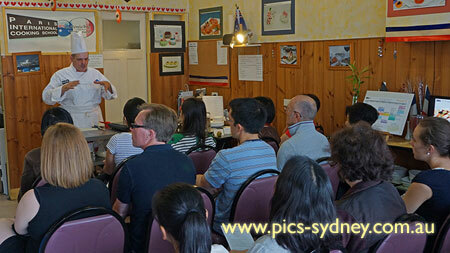 We ran free Pears Cooking Demonstration and Tasting at our premises. You can subscribe to our timetable onto your iPad, iPhone, iPot touch or iCal (on Mac OS X). 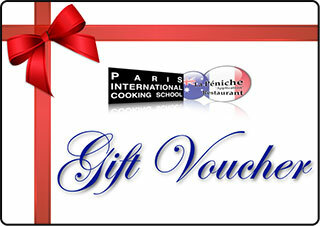 Our Gift Voucher is good for all occasions. Call us on (02)9518 1066 to arrange one. Welcome to the website of Paris International Cooking School (established in 1988).